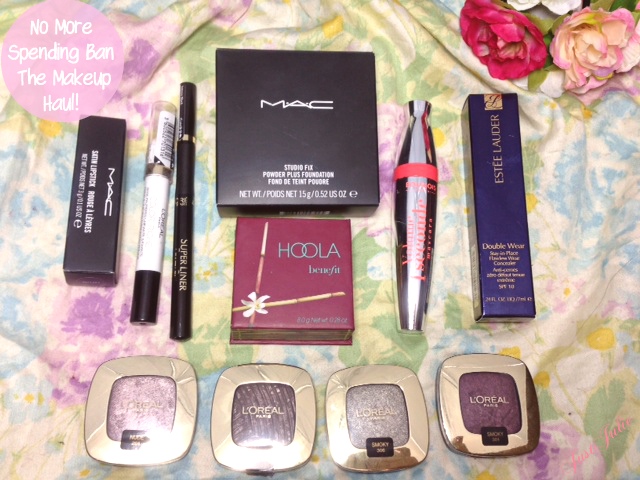 No More Spending Ban | The Makeup Haul! In april I decided I need to pop my backside on a spending ban! Check out my Original Post and also my halfway through Update Well 30 days past and I'm proud to say I actually didn't buy anything!!!! I got paid on Wednesday and I went shopping after work! Last month was torture! I'm still shocked that I managed to stop myself shopping! Half way through the month I was seriously struggling and the last few days consisted of a countdown until pay day, oh and also browsing online and placing the items I want to buy in the shopping basket ready for the 28th May, where I woke up early to hit the checkout button! I'm not even lying! lol I decided to put my shopping into categories, this is the makeup haul! House of Fraser launched their extravaganza day at 5pm on Wednesday evening, and as I work in John Lewis, they always price match so I had what I wanted to buy behind each of the beauty counters ready for when I finished work! I did have a few other items that I wanted to get but I decided to be sensible and just get two things and then made my way over to House of Fraser to visit MAC! 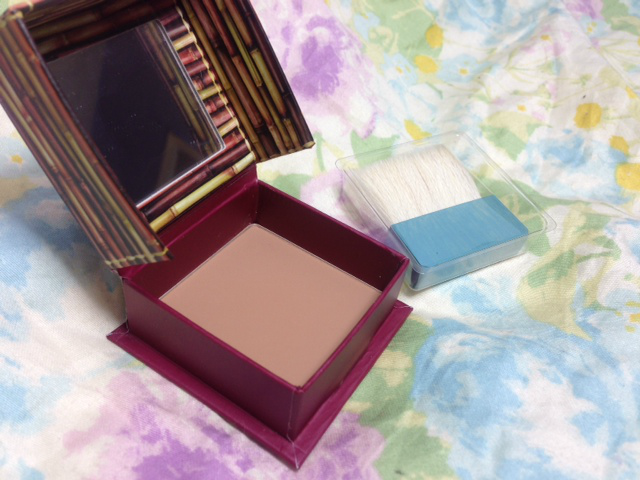 Benefit Hoola I love a matte bronzer and Benefits Hoola is a popular choice amongst women, yet I've never owned it! As my highend matte bronzers have hit pan I decided I needed a new one! 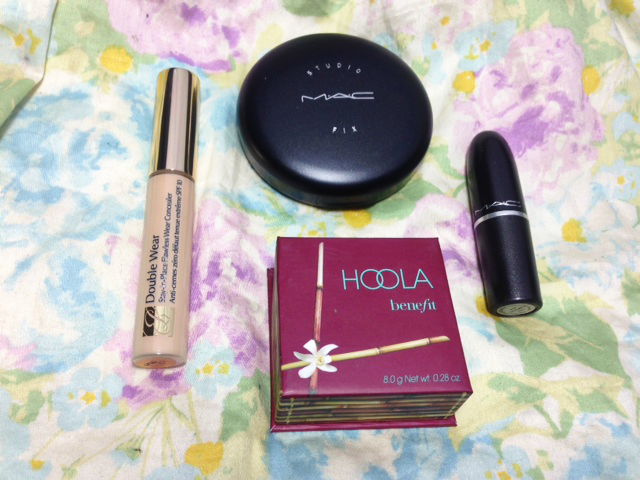 I was going to get NARS Laguna, but opted for Hoola as the colour seems to be the right shade and I love the packaging. Don't worry Laguna will be next time! I'm writing this the day after buying this so haven't tried it yet but will be reaching for this tomorrow and can't wait! 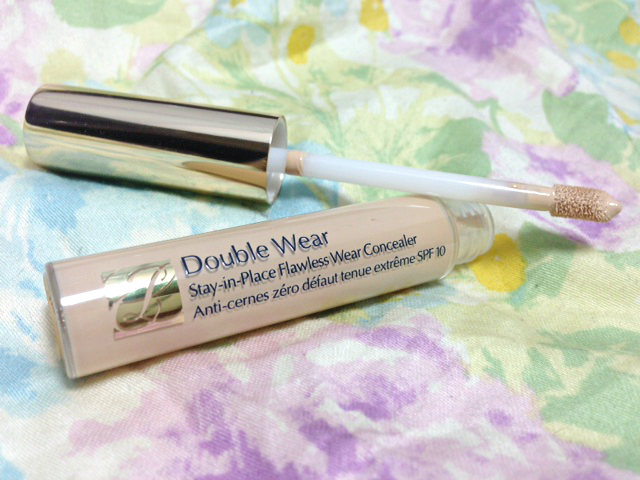 Estée Lauder Double Wear Stay-In-Place Flawless Wear Concealer in Light you should all know that I love my double wear foundation, review just HERE and have been using the concealer version for a little while as I was given a double-ended mascara and concealer as a free gift. I opted for the light version. The one in my double-ended gift was in light/medium, which is fine but I really want to brighten up my under eye area and thought the light version might perform a better job. I already know how good this is at covering up tired eyes, so hoping the lighter shade will really brighten my eyes up. MAC Studio Fix Powder in N5 Nothing too exciting as this is just a repurchase as I've hit pan on my current Studio Fix Powder. I do have other powders but this for me just finishes off my base and does everything and more from what I want in a powder. 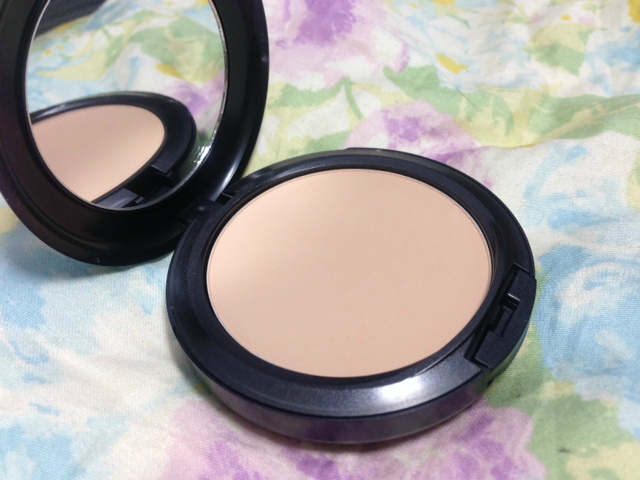 Obviously I do use other powders but this is generally my go to powder most days. MAC Lipstick in Captive I've not brought a MAC lipstick in a while now, I'm pretty sure I have 6 empties so should take advantage of the back to MAC offer! 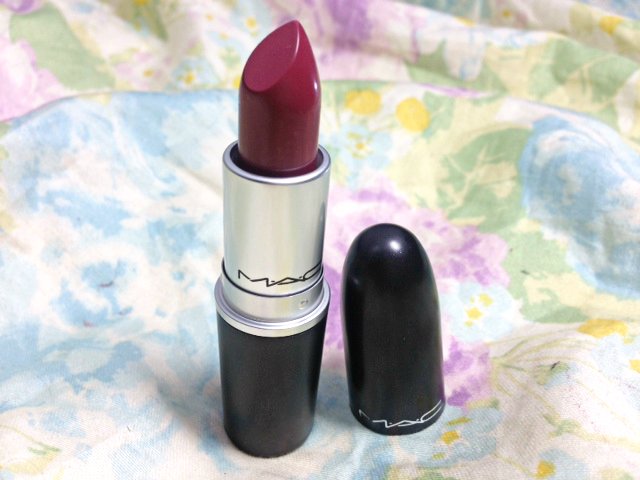 BUT anyway, I needed a new MAC lipstick and I've really been into deeper coloured lipsticks lately. I blame Revlon Colour Burst Matte Balm in Sultry for this! 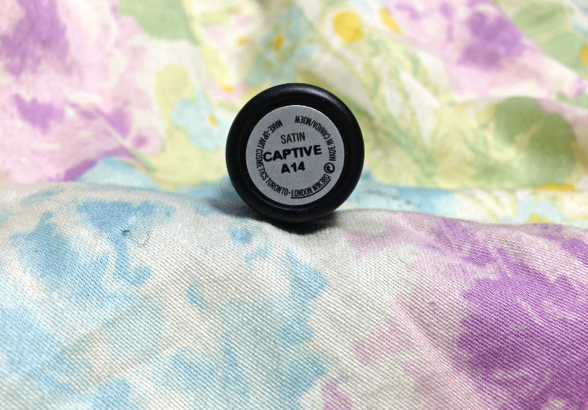 Captive is a satin finish, which I like as these tend to stay on my lips quite well. The colour is a gorgeous plum colour, bordering on a wine colour, which I've discovered those shades suit me quite well! I will be wearing this tomorrow at work and I've no doubt I will have a makeup look with me wearing this up on the blog soon! 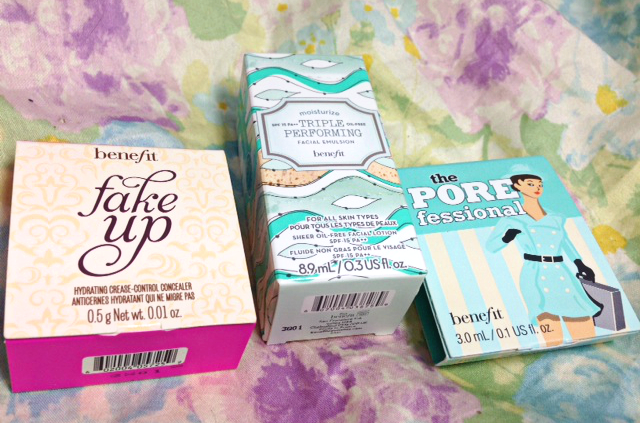 My lovely friend Mel, who's the manager on Benefit also gave me a few samples! Benefit Fake Up in Light, which I've never tried, but seeing as it's hydrating (my under eye area can be quite dehydrated) I'm hoping that I'll like this. Benefit Triple Performing Facial Emulsion, which is an oil free, light weight moisturiser and also a PoreFessional, which I already have and love. I love that Benefit samples are luxury sizes so you're able to try them for long enough to get a good idea whether you like them or not! Bourjois Volume 1 Seconde Mascara I'm always on the look out for an amazing volumising mascara that doesn't cost the earth and after seeing the beautiful Belles review from Mascara and Maltesers I had to try get this! It's normally £9.99 but it currently has £3 off in Boots at the moment. 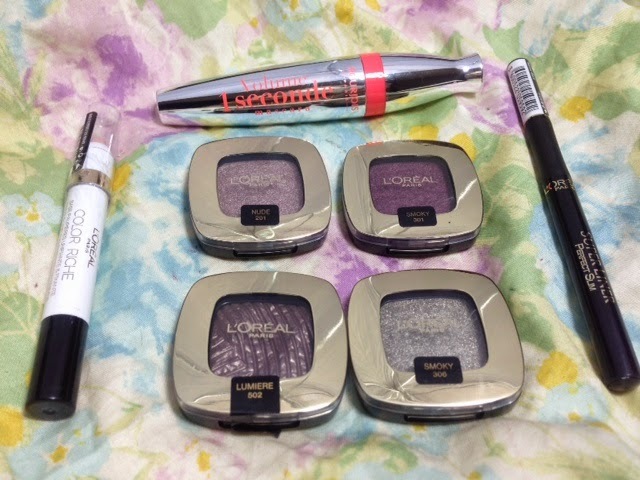 I've never used a mascara from Bourjois before but I have high expectations! I love the packaging, it looks very premium. I would have taken a picture of the brush but I didn't want any air to get into it yet, but basically the brush has got round plastic balls on the bristles (spherical bristle) and normal bristels which will apparently aid in giving you clump free volume! I should hold off using this as I already have three on the go, but I'm not sure if I will be able to wait! L'Oréal Color Riche Eye Primer Base I know L'Oreal already sell an eye primer, although I've never found it anywhere, so I'm not sure if it's available in the uk... BUT I found the L'Oréal Color Riche Eye Primer Base in Boots, I guess it's new as I've never seen this before! I have no idea whether this is any good or not BUT I do love an eye primer and I'm always on the look out for trying new ones! I will be trying this out tomorrow (which will be 6 days ago when you read this) and will see if it is as good as my Urban Decay Primer Potion! 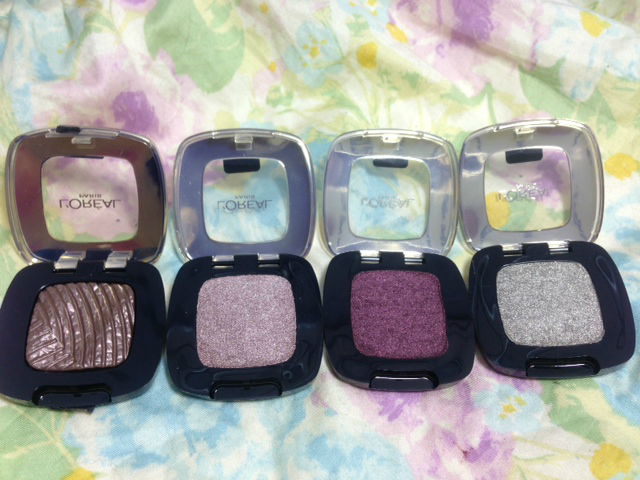 L'Oreal Color Riche Mono Eyeshadow I feel like my month absent from Boots has left me not having a clue about new products as these eyeshadows were not in Boots the last time I went in there! I'm guessing these have taken over from their old styler single eyeshadows and I'm so pleased! The old style had well and truly had it's day! The packaging with these are lovely, the colour selection is AMAZING (I will be going back tomorrow and buying more!) and the texture is gorgeous! I mean look at the colours I bought, blimming booootiful! They are gel infused eyeshadows, whatever that means but what I do know is that they feel super creamy to touch and after swatching them on my hand, they weren't easily rubbed off, so I'm guessing these should be super long wearing. I can't wait to try these, I smell a full review of all the colours and some makeup eye looks is brewing here! So that'll be it from my makeup haul, I don't think I did too bad to be honest as I could have bought A LOT more! I have a hair care haul from what I bought on pay day coming up... I bought a lot... but saved a lot of money in the process! That will probably be up later on this week as I'm still waiting for something to arrive in the post!